Last week, a CASA 212 light transport reportedly full of United States special operations forces was forced to land on a strip of road in Uganda, less than 100 miles from the capital Kampala. The plane had reportedly developed a undefined technical fault on its way to Juba, South Sudan and had to turn back. Unfortunately, the crew had to set the aircraft down outside of Kiwawu after running out of fuel. Thankfully, no one was hurt, though a local NTV Uganda television spot showed how the Americans held up traffic until their transport could be moved. Soldiers from the East Africa Response Force load on a C-130H from the 52nd Expeditionary Airlift Squadron at Camp Lemonnier, Djibouti en route to Juba, South Sudan in December 2013. The incident offered an opportunity to highlight the role of private contractors providing airlift services in Africa to the US military. The CASA 212 in question was identified by its civilian registration code N604AR. The owner is EP Aviation, LLC, which acts as a subsidiary for the AAR Airlift Corporation. EP Aviation is fulfilling a contract to fly members of Special Operations Command, Africa (SOCAFRICA) around central Africa, generally defined by the US military to include Uganda, as well as Central African Republic, the Democratic Republic of Congo, and South Sudan. After doing a little digging, I found that there was a dispute between AAR and Evergreen Helicopters, which had previously held this contract. Evergreen has since started doing business with the US government as Erickson Transport, Inc, after having been bought by Erickson Aviation. Erickson’s website shows portions of the fleet of fixed wing aircraft and helicopters still bearing Evergreen’s logos. Erickson has now also disputed the award of a contract to provide rotary wing support to SOCAFRICA to AAR. You can find more of the details on in my recent piece on War is Boring. In addition, I recently contacted Combined Joint Task Force – Horn of Africa over the recent announcement that the 75th Expeditionary Airlift Squadron had been activated at Camp Lemonnier, Djibouti back in May. 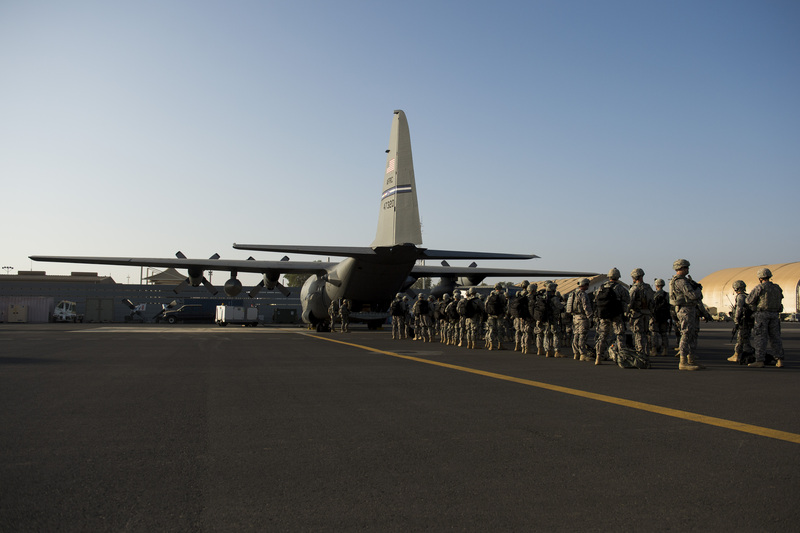 The 75th EAS joins the 81st and 82nd Expeditionary Rescue Squadrons assigned to the 449th Air Expeditionary Group at America’s east African hub. The 449th AEG is one of three AEGs assigned to US Air Forces Africa (AFAFRICA). C-130 airlifters and crews will rotate through deployments to the 75th EAS. The planes are responsible for a variety of logistics missions in east and central Africa. The 75th EAS also completely replaced the previous 52nd EAS, which had been activated in October 2013. The 52nd EAS was the first ever expeditionary airlift squadron to be assigned directly to AFAFRICA. This creation of a formal military airlift presence on the continent is significant in the context of the reliance on contractor-flown airlift already mentioned here. I provided some additional details on the 75th EAS and its mission in another piece on War is Boring today. Members of Special Purpose Marine Air Ground Task Force – Crisis Response board a KC-130J at Camp Lemonnier, Djibouti, as they prepare to return to their base in Spain on 1 March 2014. Its also worth noting that the US Marine Corps has identified similar airlift requirements for its missions on the continent. This aircraft needs are clearly part of the reason why both the security assistance-focused Special Purpose Marine Air Ground Task Force – Africa (SPMAGTF-Africa) and the contingency Special Purpose Marine Air Ground Task Force – Crisis Response (SPMAGTF-CR) both have organic KC-130 aircraft. There was also a report earlier in the year that Marine Transport Squadron One (VMR-1) was supporting the movement of SPMAGTF-CR elements with their C-9B Skytrain and UC-35D Citation aircraft. It was unclear, however, whether this involved movement to and from countries in Africa. SPMAGTF-CR, while Africa focused, is based in Europe and has forward deployed contingents to countries like Italy and Romania this year. 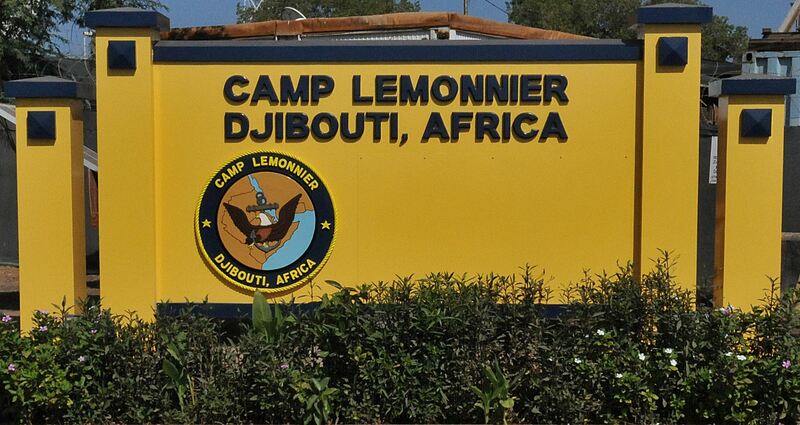 On Monday, the US government announced that it had reached a deal with Djibouti regarding the continued American military presence at Camp Lemonnier. The new deal will allow Combined Joint Task Force – Horn of Africa and other US forces to remain in the country for another decade at the cost of $630 million. This is significantly more than the reported $38 million fee Washington is currently paying every year. The deal also allows the US government to get another decade at the same rate, as well as a decade after that at a renegotiated rate. Whatever one wants to call it, the facility is critical to the Pentagon’s counter-terrorism efforts in both East and Central Africa and across the Gulf of Aden in Yemen. US forces also use the facility to help patrol the Gulf of Aden and Indian Ocean for pirates. Furthermore, AFRICOM and the US State Department conduct numerous security assistance efforts throughout these regions under various initiatives, including the Africa Contingency Operations Training & Assistance (ACOTA) program. Peacekeepers have trained regularly under the ACOTA program for deployment to support the African Union Mission in Somalia (AMISOM). Djibouti is an important contributor to this mission and provides a location to train other African forces. The counter-terrorism campaign in East Africa was previously referred to under the broad umbrella of Operation Enduring Freedom, or more specifically Operation Enduring Freedom – Horn of Africa, but is now generally referred to as Operation Octave Shield. The nickname Copper Dune has been used to reference operations in Yemen, but it is unclear whether this is still valid. Camp Lemonnier’s airstrip has been a major part of drone operations in the region, though recently the decision was made to shift this effort to Chabelley Airfield. The major operation in Central Africa is Operation Observant Compass. This is the nickname for the effort assisting the African Union’s Regional Task Force stamp out the brutal Lord’s Resistance Army. In March, CV-22B Osprey and MC-130P Hercules deployed from Djibouti to Uganda to support this operation. The Osprey aircraft were actually tasked to support CENTCOM operations from Camp Lemonnier. The Pentagon has said CENTCOM may loan the aircraft to AFRICOM again in the future if needed. Camp Lemonnier has also been an important staging ground for crisis response efforts recently. Last December, two CV-22B Ospreys and US Navy SEALs launched from the facility in an attempt to rescue American citizens caught up in the crisis in South Sudan. 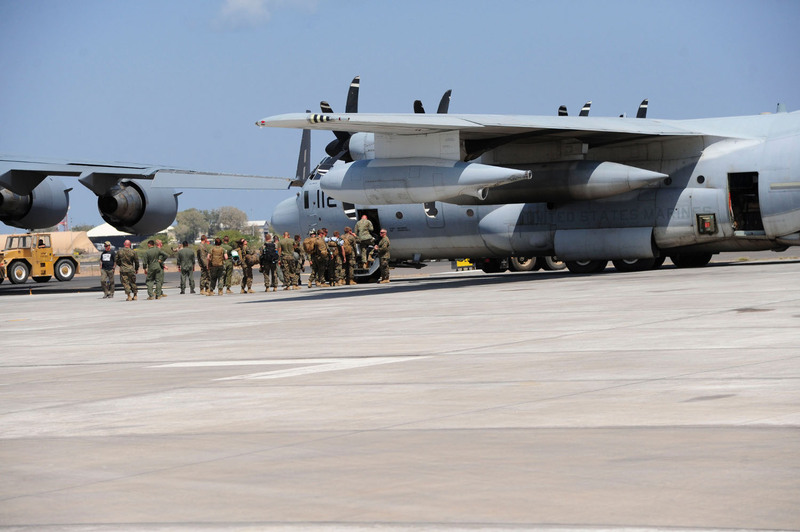 Later that month, AFRICOM moved the Marine Corps’ Special Purpose Marine Air Ground Task Force – Crisis Response to Djibouti from its base in Spain in response to events in South Sudan. SPMAGTF-CR then moved elements forward to Entebbe, Uganda to support evacuation efforts. In all, Camp Lemonnier has cemented itself as an important piece of the US military puzzle in both Africa and the Middle East. The US military will remain there for at least another decade, but its quite likely the additional options to stay for twenty years after that will be exercised. Last week, the US Department of Defense announced that it would be sending an additional one hundred and seventy-five Marines to Romania. The US Marine Corps already maintains a rotational task force with some three hundred personnel in that country at Mihail Kogalniceanu Air Base, as part of existing regional security cooperation efforts. 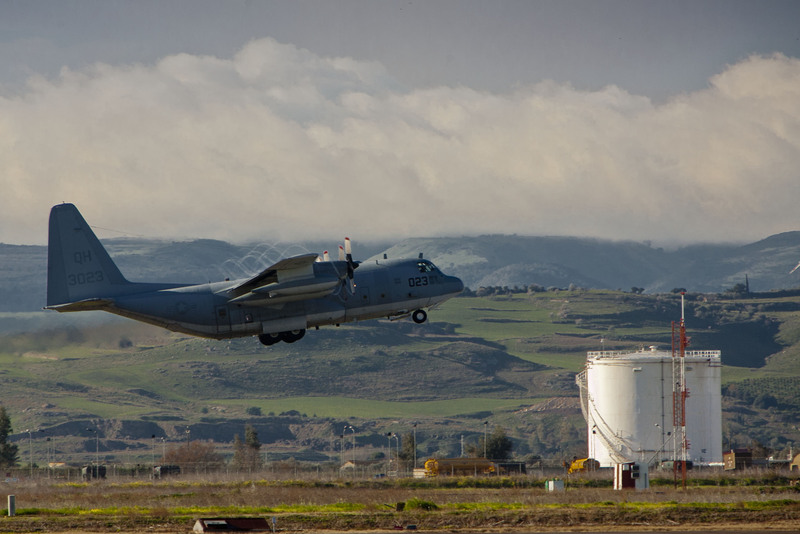 A KC-130T Hercules carrying Marines and sailors with Special-Purpose Marine Air-Ground Task Force Africa 13 takes off from NAS Sigonella on route to a security cooperation engagement in Burundi on February 16, 2013. What is particularly interesting about this deployment is that the Marines from Camp Lejeune, North Carolina will be assigned to Special Purpose Marine Air Ground Task Force – Crisis Response (SPMAGTF-CR) rather than Special Purpose Marine Air Ground Task Force – Black Sea Rotational Force (SPMAGTF-BSRF). This is likely because the decision had recently been made to increase the overall size of SPMAGTF-CR, headquartered at Moron Air Base in Spain, and the only approval required was to forward deploy the personnel to Romania. The personnel will be collocated with SPMAGTF-BSRF, but will remain under the control of SPMAGTF-CR, which is assigned to US Africa Command (AFRICOM). Officially, the deployment is not related to the ongoing crisis in Ukraine, where a popular protest movement ousted the regime of President Viktor Yanukovych earlier this year. Russia responded to this change by supporting a secessionist referendum in Ukraine’s Crimea region and subsequently voting to annex the province. Crimea had been made part of the Ukrainian Soviet Social Republic in 1954, at which time the country was a part of the Union of Soviet Socialist Republics. The province has a sizeable ethnic Russian population, in addition to ethnic Ukrainians, Crimean Tatars, and others. Ukraine and Russia have now traded veiled threats and the US and other NATO members have reinforced allies on Ukraine’s borders to ease fears of further Russian interventions. The US has also recognized the new interim Ukrainian government and said that the Crimea referendum and annexation are illegal.